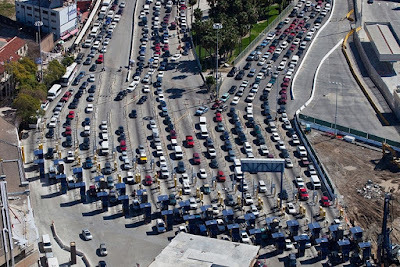 A U.S. teenager living in Tijuana is in custody and facing prison time for the massive cargo found hidden in a vehicle he was driving across the U.S.-Mexico border. Cristian Araujo Aguirre, 19, was arrested Wednesday at the San Ysidro Port of Entry, south of San Diego. U.S. 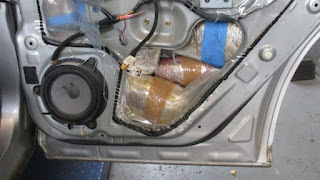 Custom and Border Protection officers found 11,490 fentanyl pills, 61 pounds of meth and 14 pounds of heroin inside the vehicle Aguirre was driving. 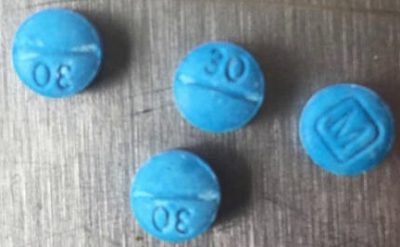 Two bags and the box of pills found in a hidden storage compartment were designed to look like oxycodone, complete with the M30 marking on the pills. If convicted, Aguirre faces a minimum of 10 years to life and a $1 million fine. Mexican drug dealers are increasingly recruiting teenagers. Some are paid as little as $400 to strap a kilo to their bodies and walk across the U.S.-Mexico border. San Diego high schools are choice recruiting grounds. Some kids are 14, 15, 16, and 17 years old. U.S. Customs and Border Protection officers stopped three teenagers with $150,000 worth of contraband strapped to their bodies in March.